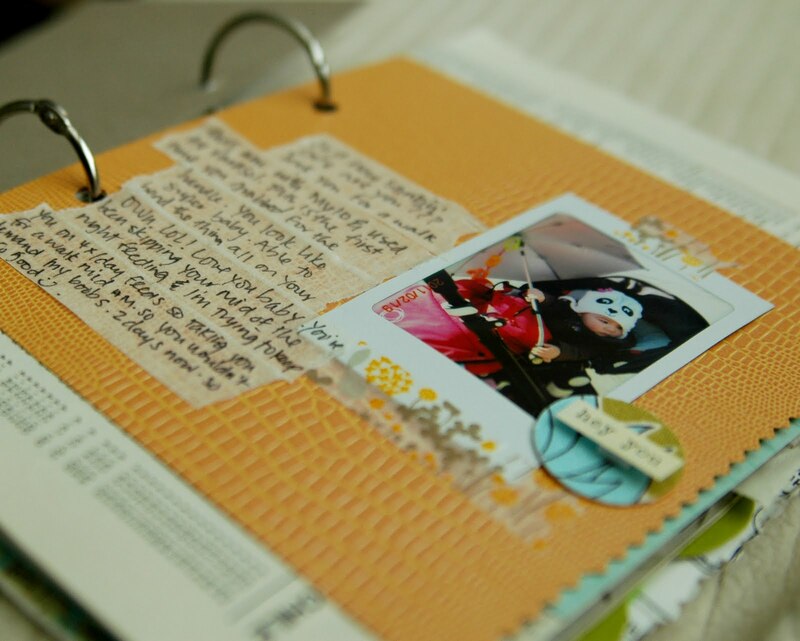 You know how I've been obsessing with mini photos lately with the mini art journals that I've been putting out? Well imagine how happy I was when I saw this girl's blogpost last week and she had mentioned this mini printer (insert BIG SMILE here). I knew I had to have me one of these!! 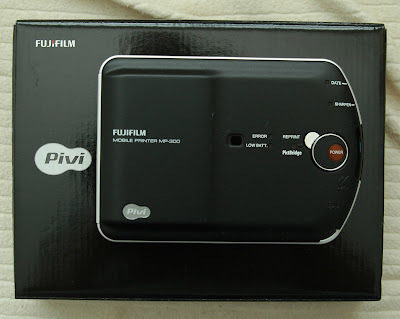 I ordered the Fujifilm Pivi MP-300 on Monday and it came on Friday (as well as a package from a regular customer - *thank you Helena* as well as a wholesale order of supplies for the love you kits). 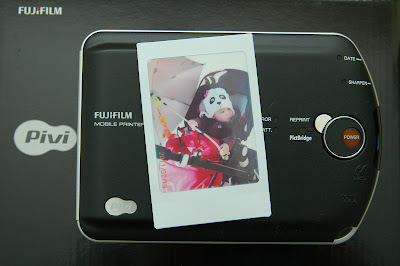 This baby allows me to use my D70s to take photos and then I just plug the USB cable in the printer and select my photo and it spits out these little credit card size prints just like an old school Polaroid camera. I'm SO in love!! It is a little expensive for a print - 88cents but the instant gratification is totally worth it. Now I can make quick entries in my random memories journal (snap fingers here) just like that. Felt so inspired and full of creative juice that I made an entry right after I printed this photo of munchkin. Happy Sunday! I'm just putting together the Love You art journals and embellies kits today. There's some items that are replaced with other cute ones in the kits. If you are ordering one, please reread the description. THanks! I'll make the listings active really soon - by this evening. eek! i love the printer! i have been debating on getting the Polaroid PoGo for quite some time now but i think i like this one even better! do you mind saying where you got it from? i always have a hard time buying electronics online because shipping to canada is always so expensive. 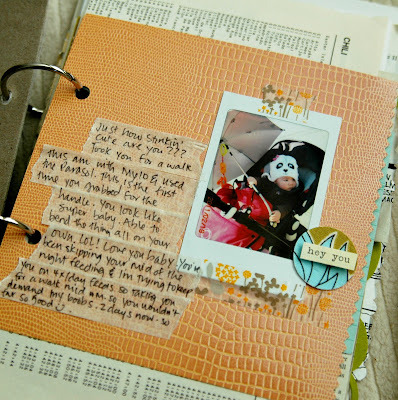 I still would like to purchase a LOVE art journal. 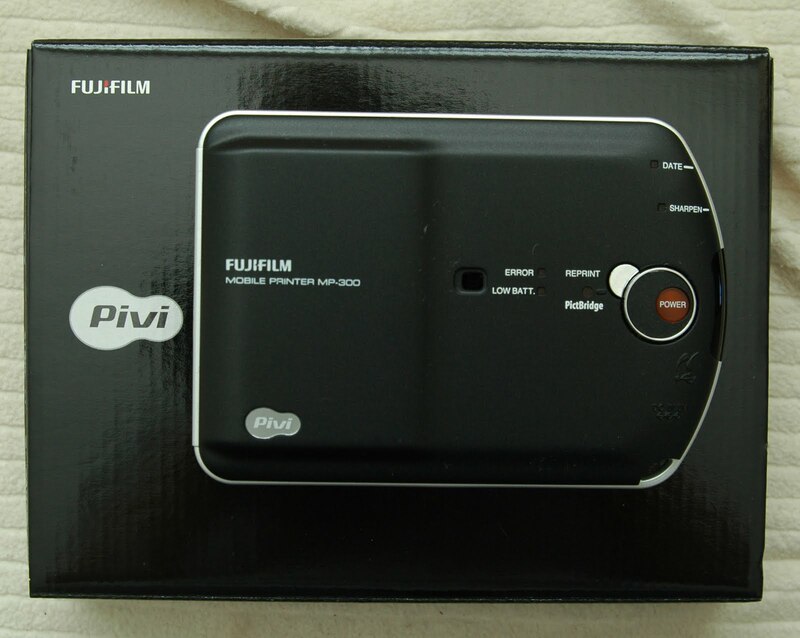 Also, where did you buy your mobile printer from? ya.. like Suzanne question, where do you get it from? That printer is so sweet! Was it an Ebay.ca purchase? I just might have to put that on my birthday wish-list! OMG!!! I saw this - freaked out a little bit - and went straight to eBay and ordered one!! I couldn't be more excited!!!!!! Thanks Eve for this wonderfully exciting blog post!! so glad you got the printer, i knew you'd LOVE it. I love the idea of printing tiny pictures!